FOSS applied for and has now received a grant from the Garfield Weston Foundation. Grant monies will be used to benefit CSS Park starting with the production of a new brochure. Seedy Sunday (March 22, Franklin Horner Community Centre) was a great success. Steering Committee members enjoyed talking with citizens and learning about their concerns re: CSS Park (e.g. off-leash dogs/failure to clean up after dogs/no winter snow clearance on trails). Many kids were delighted to make their own pine cone bird feeders. Spring is in the air and what better time to bring new and exciting news about another funding opportunity with the Humber Arboretum. The Weston Family Parks Challenge is supporting the Humber Arboretum’s Colonel Sam Smith Park Improvements and Programs project. This project brings together diverse partners such as, the City of Toronto, Friends of Sam Smith Park and Citizens Concerned About the Future of the Etobicoke Waterfront, to improve wetland habitat and create a new outdoor classroom. Environmental programs and stewardship opportunities will connect youth and community members to nature by raising awareness of the importance of providing and maintaining natural areas for birds and other wildlife. As part of this incredible grant we are now able to offer a $4.00 subsidy off our regular full day program price for local schools or schools in need of financial assistance. Meaning, we are offering a full day of outdoor education on the shores of Lake Ontario in the amazingly diverse Colonel Samuel Smith Park for only $8.50 per student! School groups will be hosted in Humber College’s architecturally beautiful “cottages” located on the East side of the Lakeshore Campus in the “H” building. Want to start the booking process online? Visit http://www.humberarboretum.on.ca/sites/pages/programs.html to check out a list of programs the Humber Arboretum offers including ones offered at our Lakeshore location (Colonel Samuel Smith Park) in May and June. Ready to register your class? 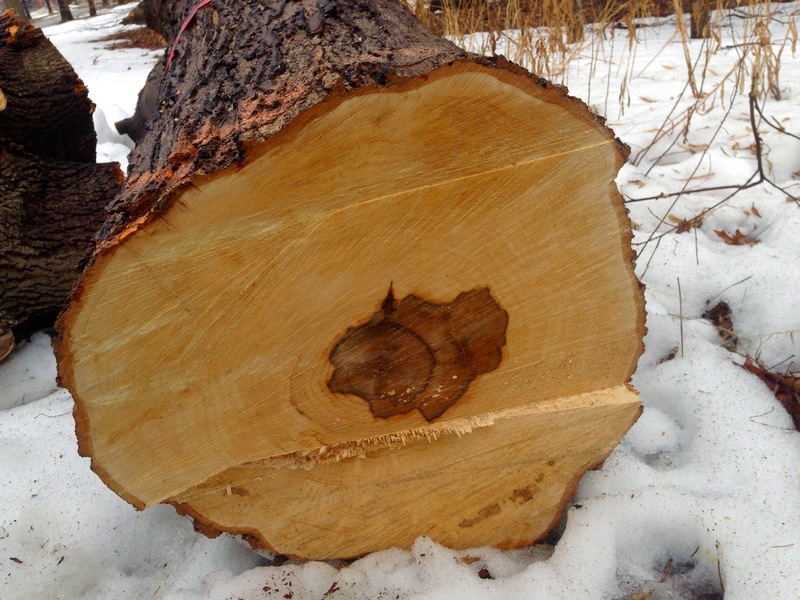 Click on the following link http://www.humberarboretum.on.ca/sites/pages/school-reg.html to start the process. If you would like more information please contact us by e-mail at arboretum@humber.ca or call us at 416-675-5009. Please don’t hesitate to pass this information along to any teachers in your school that may be interested as funding may go fast! 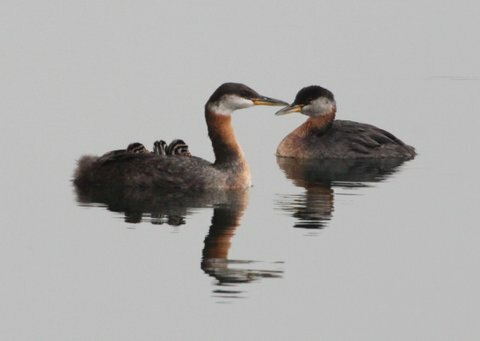 SAM SMITH PARK RECEIVES GRANT FROM THE "WESTON FAMILY PARKS CHALLENGE"
"SONGBIRDS SOS" is the artfully-shot story of the mass depletion of songbirds in the Americas, an alarming thinning of populations that has seen declines of many species since the 1960s. According to international birding expert Dr. Bridget Stutchbury, author of "Silence of the Songbirds", who is featured in the documentary, we may have lost almost half the songbirds that filled the skies fifty years ago. Click on this link for preview of Nature of Things episode. 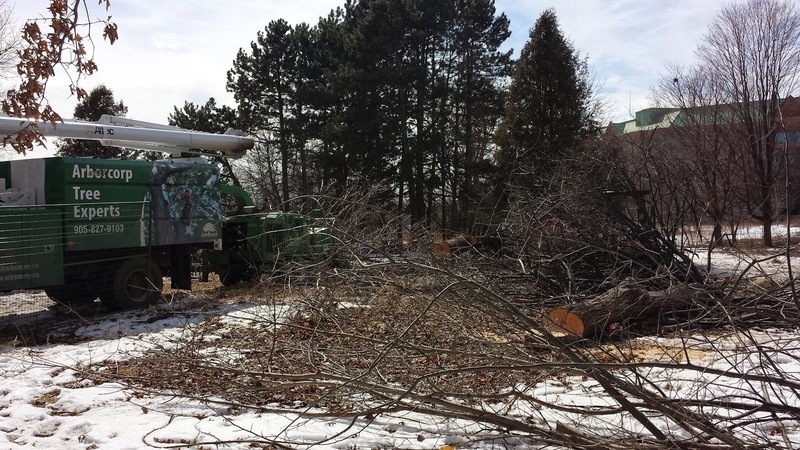 Arborists have recently started clearing the site for Humber College’s Welcome Centre (southwest corner, Lakeshore and Kipling). There are (were) eighteen trees of “significance” on the leased parkland. Some trees (can you count the rings?) may have been as many as 50 – 70 years old. Some fallen trees are being used to provide turtle basking spots in the large pond and some will be used to embellish the new building. 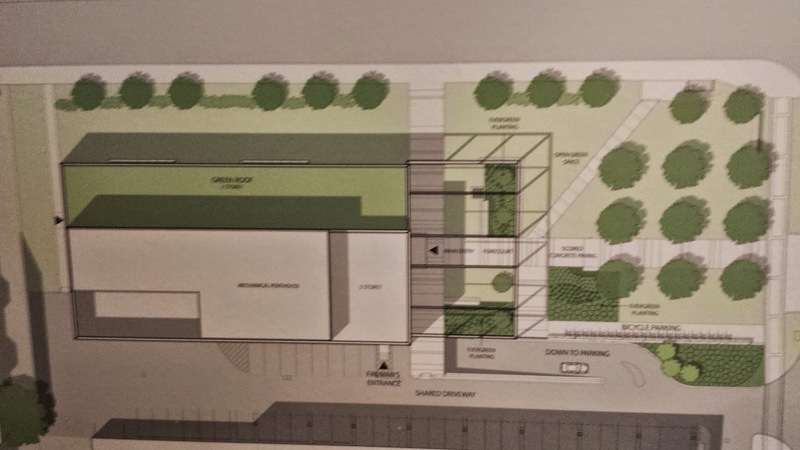 The City’s planning department requires building applicant’s to replace trees on such a site at a ratio of three to one or pay cash in lieu (nearly $600 per tree). That makes fifty-four to be “replaced”. Wanda Boute, Humber College Lakeshore Principal, has told Friends of Sam Smith Park that there will be twenty-four new trees planted on the site (see map) and that Humber has paid City Forestry the cash equivalent for the other thirty. As a welcome community gesture, Humber will also plant twelve new trees in the children’s play area at St. Leo Catholic Elementary School in Long Branch where none exist at the moment. Wanda tells us that the final decision on where the thirty trees will be planted rests with Forestry (i.e. anywhere in the City!) but she has recommended that FOSS’s position be respected i.e. that they be planted in Sam Smith Park to replace lost habitat and the location(s) to be based on the advice of the City’s wildlife and habitat specialists.